One of the least tapped into but most exciting aspects periodicals studies can play in literary history is the power of the magazine to create links across national literatures. 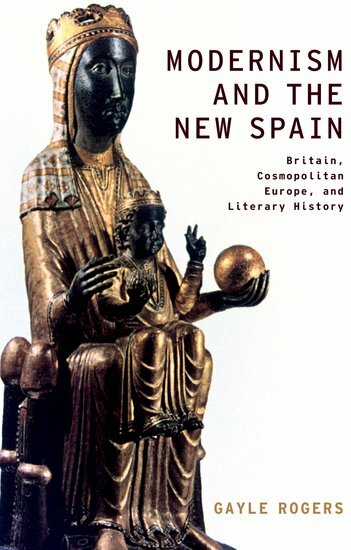 Modernist studies has been talking about transnational turn for the past decade, but transnationalism remains better theorized than actualized, which is why it’s so exciting to see that Gayle Rogers’ Modernism and the New Spain: Britain, Cosmopolitan Europe, and Literary History (Oxford University Press) is available now. Rogers draws heavily on modernist magazines like The Criterion and the Revista de Occidente in order to uncover a long obscured history of collaboration that contributed to the mutual constitution of modernism in Spain and Britain. What is striking in these old Modernist magazines, aside from the roll call of their famous contributors? Mainly that they have very little in common with prominent literary magazines in today’s English-speaking world. There is no gee-whiz tweeness (surely you can find your own examples without too much trouble), no senile genteelism (ditto), no forced jokiness, no desperation on the part of the authors to prove that they’re good guys and gals who aren’t necessarily smarter than anyone else and maybe want to be your best friend. I wonder if the “niceness” of contemporary literary magazine/blog culture is any less desperate than or even all that different from the combativeness of modernism, since both can be diagnosed as simply playing the rules of the game in the struggle for cultural and symbolic capital, etc. But that isn’t the subject of this post.